Hi Frank I tried doing that but it wouldn't change the steps in temperature, how would I change that? Thank you. It just keeps adjusting the wattage but I can't find where temp is adjusted. 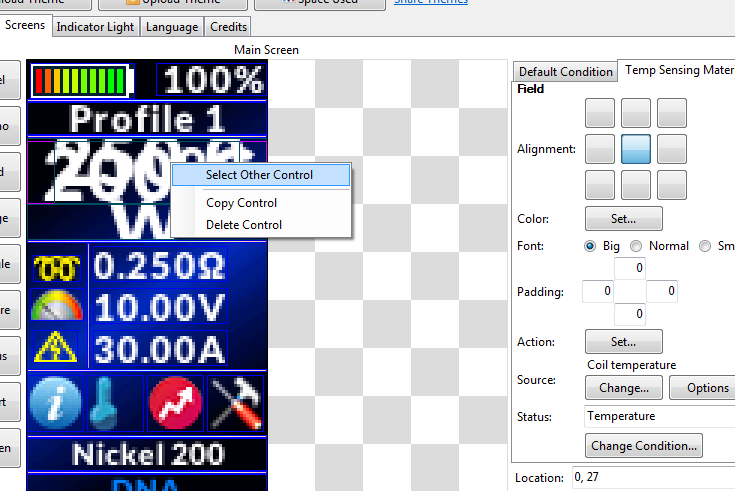 right click on wattage , click "select other control" until you reach the temperature one. Thank you SO much it really helps, thank you. to 2.8.4 as my wattage is set to my style. I honestly don't remember if that happened in 2.8.3 as I haven't changed my wattage until today. In 2.8.3 the wattage adjusted in 0.5W increments. Must have been an oversight by Frank if it's now adjusting in 5W increments. 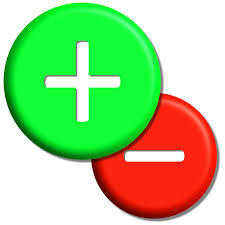 You can change the increments yourself however in theme designer to whatever suits your style. 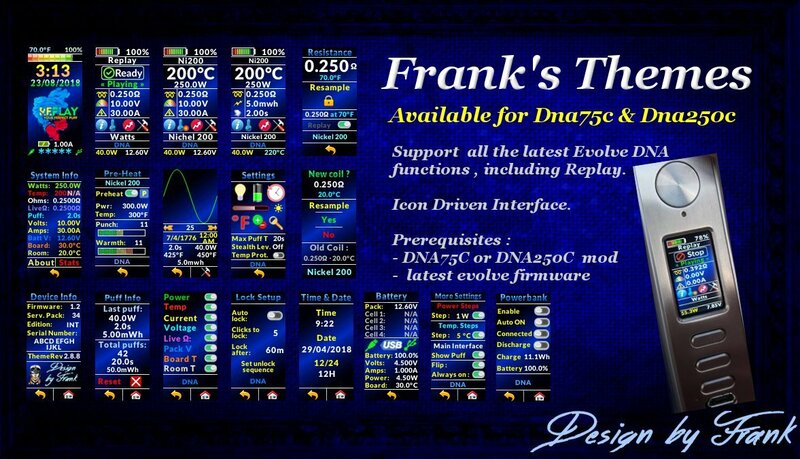 In 2.8.4 I added two new themes for DNA250C , only in those themes wattage increments are 5W (I assumed that fits better a 250W mod). Also these themes have powerbank menu available. 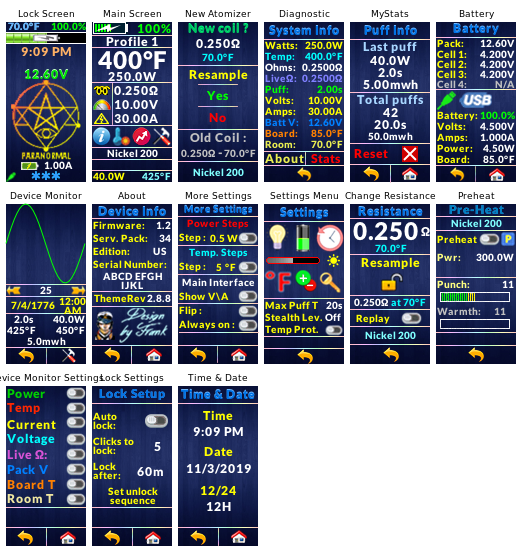 All other themes are still 0.5 watts increment like before. Frank, with the latest 2.8.4 I'm experiencing a small regression compared to the previous version on the Replay feature. 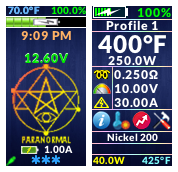 Even when I use Kanthal, the button is marked as "Ready" with the green check mark and it's clickable. If I click it, the box "flash" for a moment but obviously it doesn't activate the feature. With the previous version, the feature was automatically skipped when using Kanthal. For the remaining parts, congratulations as usual: the theme has improved greatly (again!). Really impressed on how much love you put into this theme. 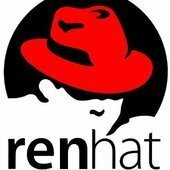 I assume you have a seperate profile in your device for Kanthal, if so just uncheck Replay in that profile on escribe and you should be good to go. Hello and thanks for the feedback. The difference between the old and new version on replay function are only aesthetic , I mean I just replaced a picture with another one. This may be a stupid question, but I am new to downloading themes to a mod. How do I actually upload it to my DNA 250 once I have downloaded a theme to my PC? On this window click button "Yes, Install"
Thank you @Frank65. I keep receiving the error "windows cannot open this file" message. What do I need to open it? Thank you @Frank65. I keep receiving the error "windows cannot open th﻿is file" message. What do I need to open it? I am now. Thank you again! Two days ago I found out your theme and I use it as my favor theme on my Mirage 75C. It's a really good work and I thank you for offering it to us! The other one is in regards with the "readings". I use an SSL316L in TC, 0.8 Ω, 210 Temp, 16 Watts and a punch (preheat) of 22 Watt. By pressing the firing button, I observe that the wattage indication on the 4th line (under the temp indicator) does not follow up the preheat exactly and it is a bit slow. I mean that having pressed the button, it needs one second to show the watt number and shows 19 or 19.5, sometimes even 18(! ), but never the 22 watt. And then, of course, shows 16 watt. In the same time, having running the Device Monitor in the Escribe, the indications are very correct and according to settings. I don't know if this has to do with the theme or it is an issue of the DNA. Pleased to hear your opinion. Maybe the DNA firmware (the theme is just aesthetic , you cannot decide data refresh time or modify the logic) has a lower refresh of Device Monitor. So I think the lag on preheat indication is not something you can modify and it's common to all themes. Maybe you can try a simpler theme and see if it reacts faster... ? I'll watch the topic for a new version.